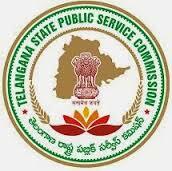 TSPSC AEE Recruitment 2015: Candidates who are searching the latest govt jobs in Telangana can apply the TSPSC Assistant Executive Engineer increment 2015. Telangana Public Service Commission (TSPSC) has announced the notification for the 770 Asst Executive Engineer (Civil) posts. The application are invited the online mode at the official site tspsc.gov.in. Our Indrajobinfo.co.in website has published the direct link for the Telangana PSC Engineer Notification 2015 and online application form. Interested applicants must check the eligibility criteria on the advertisement no 08/2015 and it has released on 20.08.2015. The candidates can apply the online registration begins from August 20th 2015. Applicants who have fulfill the eligibility criteria can apply the TSPSC Assistant Executive Engineer online application before the closing date of the application. If you have any doubt regarding the TSPSC recruitment 2015-16 and then you have to write the comment on relevant field. We will reply your query as soon possible. This is one good opportunity for the aspirants who are waiting for the Assistant Engineer Executive they can apply the TSPSC Asst Executive Engineer jobs 2015. The details of notification like age limit, education qualification, selection procedure, application fee and how to apply details give here. It is the one of the first recruitment in government of Telangana candidates can utilize the TSPSC Asst Executive Engineer Jobs 2015. Candidates who have possess the Graduation Degree in Civil Engineering from a recognized university or institute. Applicants age limit must be minimum 18 years and maximum 44 years as on July 1st 2015. The TSPSC Assistant Executive Engineer Civil jobs 2015 has provide the upper age limit for the candidates as per the government norms. Aspirants selection will be based on the performance in the written test and then qualified candidates can get the jobs in Telangana PSC Assistant Executive Engineer civil recruitment 2015. Candidates have to pay Rs. 100 for the application fee. ST/ST/PWD,Ex-Serviceman applicants are exempted from the application fee. Applicants can follow these given step to apply the TSPSC Assistant Executive Engineer civil application form. Step 8: Take the hard copy for further use.